Our whisky ladies tend to travel – both for business and pleasure. This is a huge bonus when you are a whisky fan based in Mumbai as our local offerings are relatively limited. When one member was stopping at Singapore airport on her return from a conference, she asked for suggestions and ably rose to the assignment to acquire a whisky from Taiwan. Another runs her own travel adventure company plus her spouse shares her passion for exploring whiskies. Compliments of their procurement prowess, we already sampled the yin yang contradictory character of Nikka Blended Whisky. So when a theme of ‘anything but Scottish whisky’ morphed into the ‘Far East’…. naturally she had a whisky from Japan to share! We began our evening with an experiment… our host infused grapefruit and rosemary with a local gin to create a highly refreshing aperitif – delightful! From the shores of Taiwan and Japan, we hit mainland China to try a country liquor that was much more fun to puzzle out how to open than taste! It was, in short, undrinkable. Finally closed our evening with a thimble of JD Tennessee Honey liqueur to go with our chocolate pizza – yum! 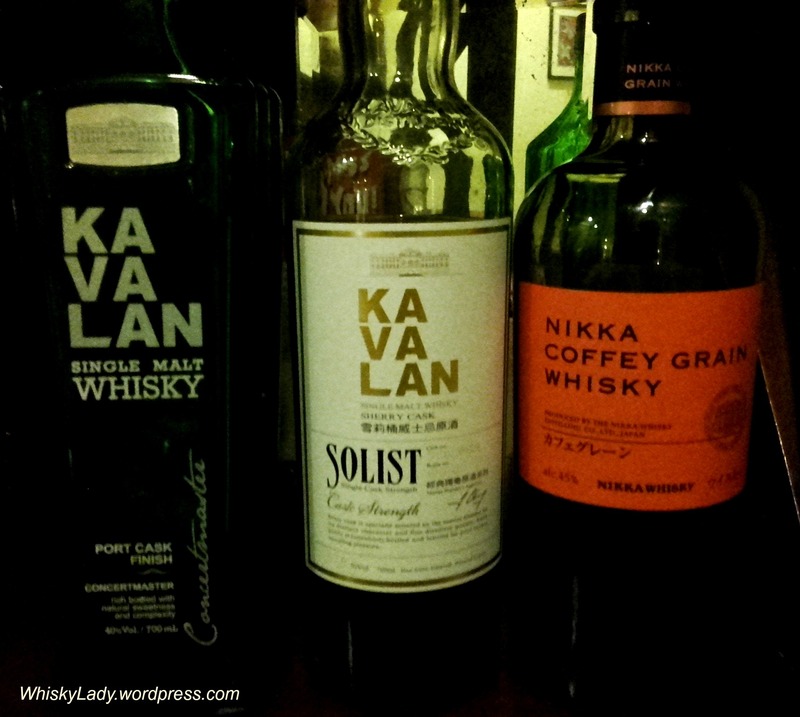 It was a delightful change to explore whiskies beyond Scotland for an evening and a reminder that there is a very good reason Kavalan attracts attention for its Solist range. The Kilchoman Trilogy from La Maison du Whisky celebrates the impact of maturing in different casks on the whisky – Bourbon, PX and sherry. Water – Some thought it was ‘dying’ for water, others not. Those that added found it brought out a bitter chocolate quality, a nice spice to savour. Finally after opening up over time, yeasty baked bread and bacon notes came out! While clearly cask strength, it was a bit thin and hadn’t yet gathered the oils from the wood, so had the sense of possibly being younger. Or a more contemplative evening solo, as there is an oddly meditative quality more reminiscent of a temple than night on the town. Did we appreciate this whisky? Certainly. It was hard not to be captivated by the different elements. 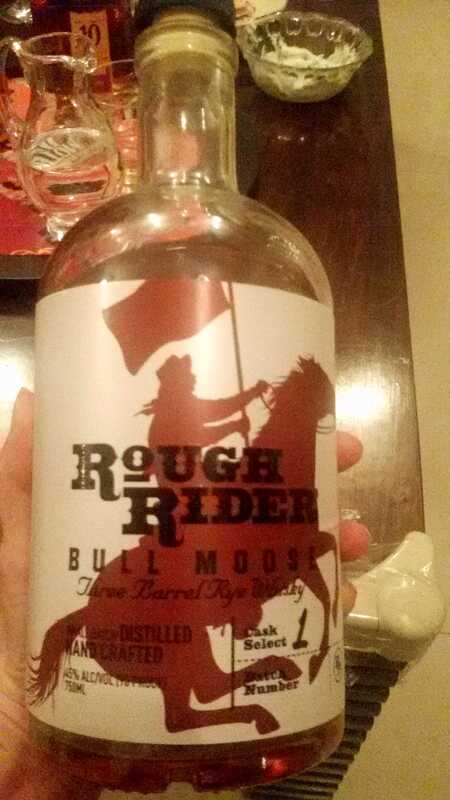 This isn’t a friendly neighbourhood whisky. It is a bit more intellectual and requires you to pay attention to understand it. 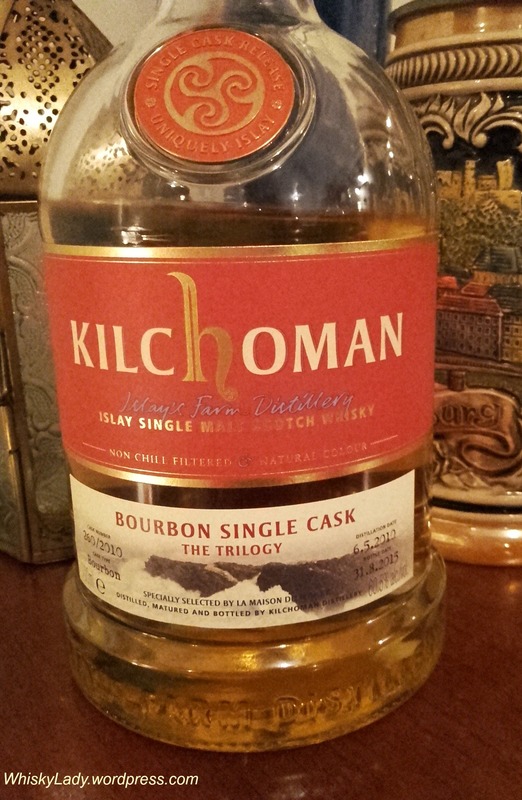 So what do the folks over at La Maison du Whisky have to say (translated from French) about this Kilchoman whisky? Particularly sunny, this version aged in bourbon casks perfectly encapsulates the precise and balanced style so characteristic of Kilchoman single malts. While the notes of peat and smoke are omnipresent, they leave their mark with great elegance while setting the tone for things to come. This thoroughly subtle influence enables the whisky to gain in olfactory and gustatory power that is both nuanced and perfectly mastered. A work of art! Profile: Peat and smoke coated in lemony scents. It becomes increasingly voluptuous (rice pudding, tangerine jam). Not sure I would describe it as ‘voluptuous’ but it certainly was a good way to kick off our tasting session! Signatory session take two with cigars! Quick before oxidation did too much damage, I wanted to share with the BMC lads a sampling from my earlier Signatory session. However as whisky gremlins (aka friends and I) got into the Edradour and the Bunnahabhain too, it was clear augmentation would be needed to have sufficient for my sipping companions as we puffed on our cigars, post initial tasting. With this group, tasting is not the end, merely the selection process to settle down to savour a further dram or two with a cigar, some nibbles and convivial conversation. We kicked off with the Speyside – Glenburgie 18 year (13 June 1995 / 20 Feb 2014) Cask No 6451, 391 bottles 46%. Then followed up with the Islay – Bunnahabhain 26 years (6 June 1988 / 7 Aug 2014) Cask No 1874, 175 bottles 48.6%. 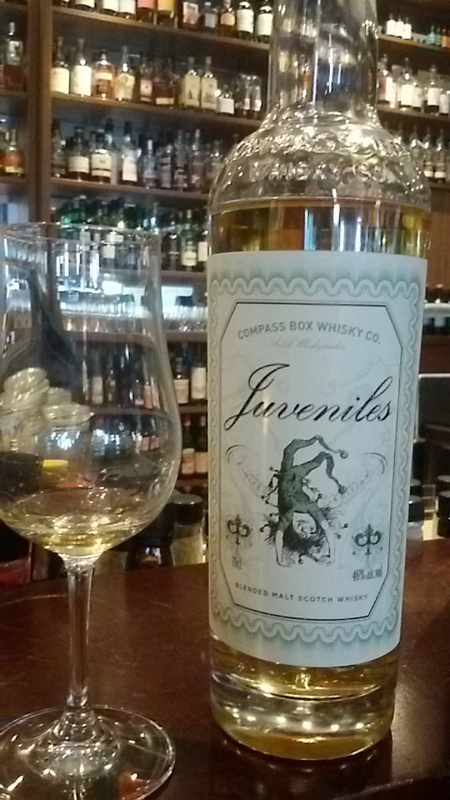 Nose – Varnish, lots of esters, pineapple, a flick of mint? Water – Spicier, less acidic, brings out the peppers and even a medicinal quality on the nose. Then was that gasoline?? Palate – Very smooth, little pepper, lime? 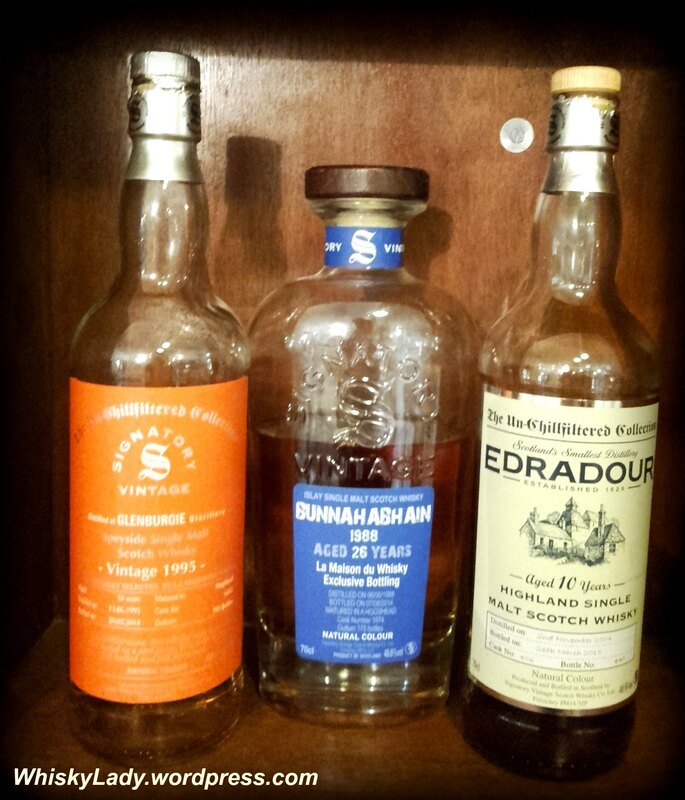 Having tried all three before, I found the Edradour stood up best after being opened. Alas the Glenburgie had clearly lost some of its earlier nuances. And the Bunnahabhain? Let’s just say it is not one to sit in a bottle. The most expensive of the trio was also the most disappointing. But what to sip with our cigars? One already has clear sherry preferences. For him, he likes his whiskies robust and full of flavour. Aberlour just so happens to be a personal favourite, so it was only natural to introduce him to the gorgeous A’bunadh Batch 35. For another, we earlier spoke of enjoying a good Irish dram – when in the mood for something a little simpler and sociable. He’d sampled Tyrconnel before – even has a bottle at home – however had yet to try the Madeira finish. Now, another member knows his stuff and nothing less than a complex, nuanced and very special dram will do! I knew what remained in my whisky cabinet would not meet such standards. Closest was a few remaining rare Japanese whiskies yet only a single dram left – clearly insufficient to support a good cigar. So the Signatory trio would simply have to do. And the last? I still haven’t pegged his preference beyond a desire to try something ‘different’. So added an unpeated Paul John Classic into the mix. My experience pairing with the cigar? I initially thought the Edradour with its rich sherry notes would pair best with my robusto. Imagine my surprise to discover the delicate Glenburgie held its own. Patience is a virtue… and I’ve been rather impatient! Back in December 2015 I picked this Kilchoman Trilogy up for another member of our Whisky tasting group… And I have been waiting, waiting, waiting ever since to sample!! It was made teasingly even more excruciating when one of the trilogy (Sherry) made an appearance at last month’s fabulous peat and smoke pairing experience. All three bottles are a La Maison du Whisky world exclusive and were picked up from their Singapore store. As usual, we tasted blind. As I was the ‘purveyor’ of these cask strength lovelies from Singapore, I knew overall what I was ‘in’ for, however only our host knew which expression we tasted. 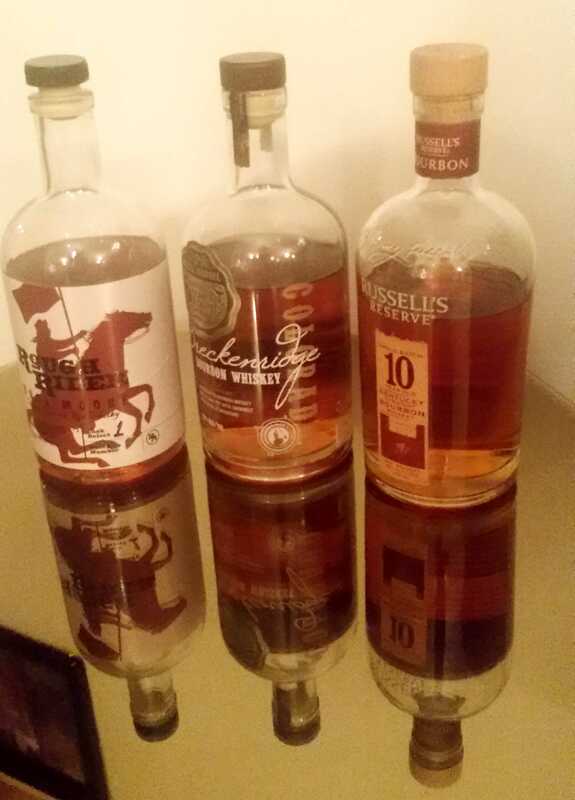 Naturally our host didn’t do something so simple as merely share the whiskies for our sampling pleasure…. Nope! He planned a marvellous 6 course meal at the home of a Mumbai culinary celebrity and sommelier! 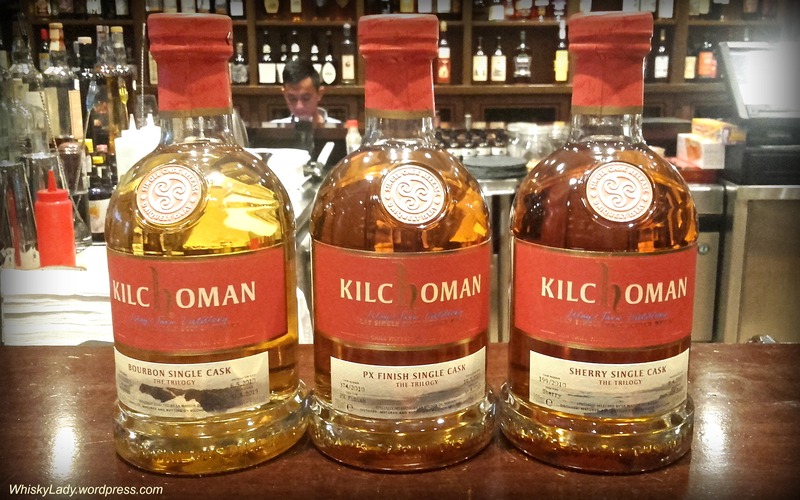 What whiskies made up this Kilchoman Trilogy? Plus a post with drool worthy descriptions of our delectable pairing delights! We’ve had the pleasure of sampling a few other Kilchomans…. What do the folks over at Breckenridge have to say? And that folks, concludes our American tour from the tasting archives! Next up in our American tour was a surprise from New York – bottled by Long Island Spirits. This rye is matured for only one year and made from a mash of 95% rye and 5% malted barley, matured in three barrels – new American oak, straight bourbon cask, then finished in casks used to age Pine Barrens Single Malt Whiskey. The ‘Bull Moose’ name comes from the nickname of Roosevelt’s Progressive Party, formed in 1912. True Americana! Crisp with a fruity sweetness on the nose followed by spice, caramel, vanilla and blackberry on the palate with a long, warm, toasty, velvety finish. Our monthly whisky sessions tend to have a theme. As our host curates the evening, planning and sourcing is completely his or her domain – we never know what we are in for! However… there are some clues… for example, one of our club members used to travel to the US for work. So… no surprise that his session had a decidedly American twang with two Bourbons and a Rye! First up from Kentucky was the Russel’s Reserve! My partner will sometimes introduce me as a ‘Single Malt Snob’… he does so with great affection and humour, knowing I’m far from snobbish in life but am particular about my whiskies. It does highlight a perception that an old single malt MUST be good whereas a blended whisky MUST be rubbish. While there are some absolutely stunning single malts… there are equally some rather good blends. 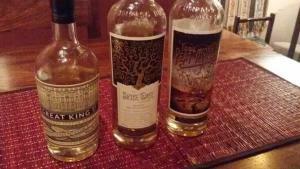 And the folks over at Compass Box are out to prove you should pay attention to well crafted blended whiskies. They keep surprising whisky watchers with their creative approach and beautiful marriage of art and science. They also set in motion a movement for transparency after being told to stop disclosing the component whiskies that go into their blends. They aren’t demanding others mandatorily disclose what goes into that whisky you love so much… they are simply asking for the right to share with consumers what goes what they create. Hard to argue with such an approach but they have a fight on their hands… read more here. Anyone have a favourite Compass Box blend? Or another blended whisky? 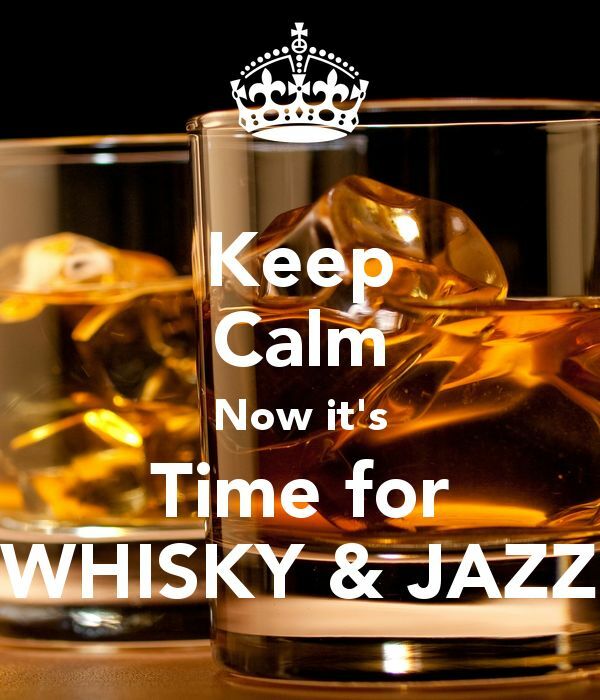 Whisky and Jazz… what a brilliant match! There is something to be said for combining a good drink with good music. And when that combination happens to be a seriously good whisky and solid jazz? Hard to beat! Often our whisky tasting sessions are accompanied by jazz music… curated and compiled by one of our members who once upon a time used to organise a large memorable jazz festival in Mumbai. As my partner prepares for his upcoming show Bombay Jazz, I started to think about the different range of jazz styles, their mood and what whisky just might make a good match! Blues jazz – Bourbon baby… nuff said! Nu jazz – What about a quality NAS whisky from Kilchoman? And when sax is being played live in your living room, rehearsing for an upcoming show, it is hard to not think of reaching out for a whisky….